Hull, deck, and all structural bulkheads were professionally built by Scandia Custom Yacht Builders in 1989. 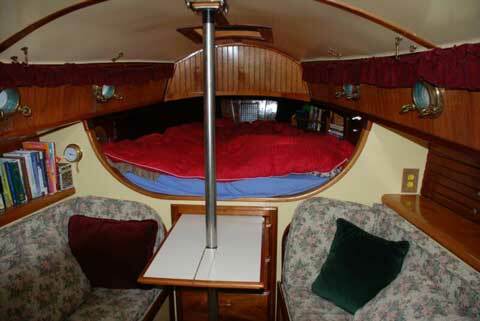 Interior was completed by master craftsman to the highest specifications using multiple fine woods in 1991. The Roo has a custom layup. 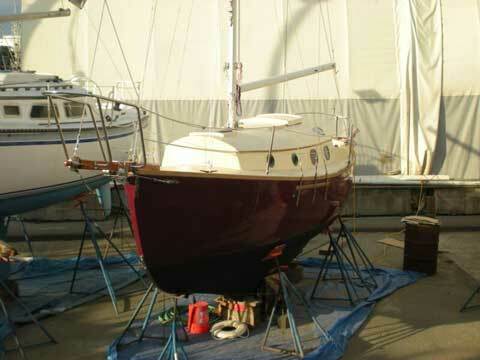 Although the original specs were more than adequate to meet Lloyd's specs for offshore use, this boat was built with additional layups measuring a full 3/8" on the shear, 5/8" on the turn, and 3/4" on the keel. She was built with modified epoxy resins and Cofab making her one of the strongest boats of this size ever built and almost impervious to osmosis. There are no thru-hulls beneath the waterline. All fittings are oversized custom bronze. Eight bronze ABI ports, four opening. Enclosed head with porta-pottie and multiple storage areas. Dual batteries with two-stage charger and full shore power. Main sail with reef points in new condition, jib in new condition, staysail in new condition. Stereo cassette/weather and marine VHF radio. Massive storage due to custom construction. Two rotating interior cabin lights and two fixed red/white cabin lights (1 in head). Stainless steel sink with foot pump.